Winter can cause your eyes to dry causing them to become uncomfortable and itchy. Here’s how you can avoid dry eyes in winter. When the temperature drops outside, your cosy central heating can sap moisture from the air. Unfortunately, being close to fires, radiators and heaters during the winter months makes irritation and dry eyes a common complaint at this time of year, but with a little preparation, there are steps you can take to avoid this unpleasant condition. Read on for tips on how to avoid dry eyes in winter – and follow our advice on the best treatments if symptoms do develop. Dry eyes is sometimes referred to as ocular surface disease. It’s an uncomfortable condition in which the eyes become itchy and irritated due to a lack of moisture. 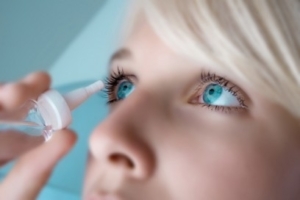 Dry eye syndrome can have a variety of causes. For many people, a condition called Meibomian gland dysfunction means that tears evaporate rather than moistening the eye as they should, which leads to itchiness and irritation. Wearing contact lenses can also increase your risk of developing dry eyes, as can undergoing laser eye surgery. But environmental factors also play their part, and dryness and irritation are more likely to occur in the arid atmosphere typical of the winter months. Combined with harsh weather such as strong winds, which can irritate the eyes further, the environmental conditions in winter can be a recipe for dryness and discomfort. Are you feeling unsure? Don’t worry, we’re here to advise you. 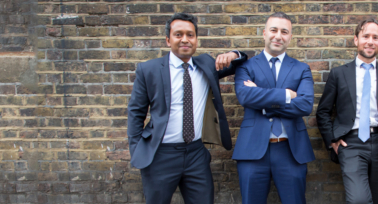 Click here to get in touch with our expert team and we can answer your questions. If you experience dry and itchy eyes in winter, the chances are you are suffering from dry eye syndrome. This can be extremely uncomfortable, but it can be treated easily. Other symptoms of dry eye syndrome can include a gritty sensation (as if there is something stuck in your eye), red eyes and stickiness when you open your eyes in the morning. If you suspect your home or work environment is causing your symptoms or making them worse, getting a humidifier can make a big difference. This will increase the amount of moisture in the air, making your surroundings more comfortable and reducing the seasonal occurrence of dry eyes in winter. For more persistent cases of winter dry eyes, artificial tears can help reduce discomfort. Available without prescription from pharmacies, these come in the form of eye drops or gels, and act as a lubricant for the eyes. 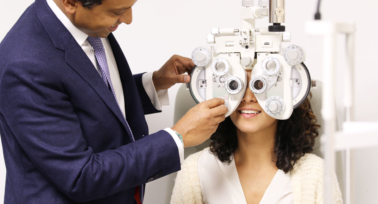 If you have tried these treatments but continue to experience symptoms of dry eyes in winter, see your optician for an examination. 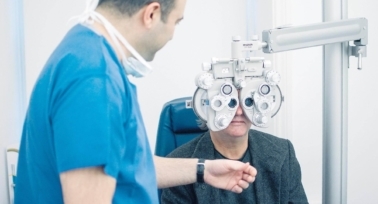 They’ll be able to check your eyes and refer you to a specialist if need be. Do you want to learn more? You can read more about the risks of LASIK surgery to understand more about possible risks and side-effects. It’s possible to reduce your chances of suffering from dry eyes in winter by taking a few simple preventative measures. Don’t let your environment get too dry – perhaps invest in a humidifier before symptoms have a chance to develop. Drink lots of fluids, so that you don’t get dehydrated. Protect your eyes from harsh weather conditions, using goggles or glasses. Avoid too much screen time, and take regular breaks if you use a computer at work. Eat a diet rich in Vitamin A and omega-3 oils, which are proven to promote eye health, or take supplements.